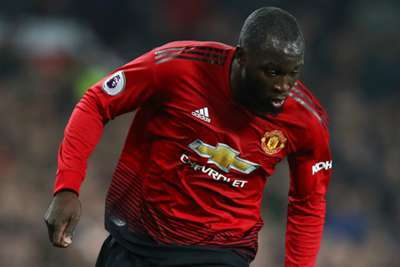 Romelu Lukaku revealed he had to lose weight after adding too much muscle for Belgium's World Cup campaign as the Manchester United striker lifted the lid on his slow start to the season. Lukaku helped Belgium reach the World Cup semi-finals in Russia with four goals but the United star has struggled for the Red Devils this season, managing just six from 15 matches in all competitions. The 25-year-old – who has been in and out of the team amid criticism – scored in United's 4-1 Premier League rout of lowly Fulham, his first league goal at Old Trafford since March. Discussing his World Cup hangover, Lukaku admitted bulking was behind his unimpressive 2018-19 club campaign to date. "I added a little bit of muscle at the World Cup," Lukaku said. "I just felt great and I think I played great over there [in Russia], but when I came back it is a different style of football. "In the Premier League I cannot play with the same amount of muscle as I do in international football. "When I came back I knew straight away, I cannot play in this style. I had to lose muscle basically. So you just stay out of the gym, drink a lot of water, eat a lot of vegetables and fish and it helps." Lukaku added: "I had good conversations with the manager in the last couple of days [before the Fulham game], when he told me what he wanted from me. And I know from my side I have to do better. "I wasn't playing with enough intensity or aggression. But against Fulham I think I played with intensity like everybody else did. "After the World Cup, I think I was a bit tired. I had the same thing in 2014 after the World Cup, when I came back to Everton. I was really in a slump after that World Cup. "I knew that, so I did a lot of tests with the medical staff to see what the problem was. Also I had a hamstring injury, which is something that never happens to me. "I just had to train differently, working more on [injury] prevention in the gym and try to do more speed bursts in training which, for me, are the most essential. "There was also a mental hangover from the World Cup because it was intense. It was really intense because we got so close to absolute glory. "But now I think I am at a decent level again and ready to go again. I just keep looking forward and improving, trying to add to my game and to help the team to win."